"I control my diabetes – diabetes doesn't control me!" Had a fun day .. Loving Yoga and jumping on a mini trampoline , never thought I would find all this energy just living on juice !!! The session on learning how to juice was fab , I can’t wait to get home and try it , my sugar readings have never been this good in 28 years !!! I really don’t want to go home . I made an appointment to revisit my diabetic specialist, he didn’t really believe in alternative therapies so when I mentioned I believed I had a thyroid problem he laughed and said I needed to come to terms with my diabetes. As I was a private patient I insisted on some blood tests to see if the iridologist was correct, my specialist agreed to do them but said he would eat his hat if I had a thyroid problem !!! That evening the specialist called me at my home to say he was eating his hat as he spoke to me … I had a severe under active thyroid ‘myxoedema’ and should start Thyroxine therapy that evening and to come to the hospital to collect my prescription!! 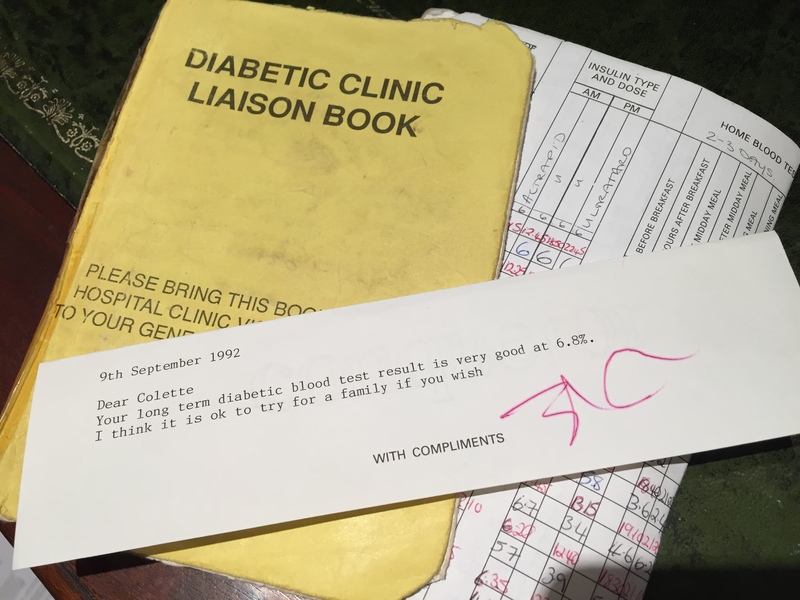 Oct 1992….My 2nd Endocrinologist !! I hadn’t had diabetes for long so transferring to a new Endocrinologist was easy… my diabetes continued to be difficult to control especially as I was pregnant! Due to my age and the fact I was diabetic, I had to have an Amniocentesis test. They also referred to it as a Grays test! All I can say is I’m glad I had got over my needle phobia!! Sept 1992…Given the green light to start a family..but I was already Pregnant !! I followed all the guidelines, I was on an insulin called Actrapid injected 3 times a day before meals and Ultratard injected before bed ..I avoided anything with sugar and became obsessed with recording my sugars as I was determined to bring my HB1C down ! (I have kept diaries for the past 23yrs of injection sites and sugar readings and hypos ..which occurred most days !!) We decided to go for a holiday in Europe , where most of the food was self service so I didn’t worry about portions and could eat at the times I wanted. I went back to work soon after being diagnosed , September 1992 I was given the green light to try for a family, my HB1C was 6.8%. Little did I know I had already conceived and was 1 month pregnant !! I conceived in August 1992, due date being April 1993. The monitoring began! My 1st Endocrinologist.. wanted me to have the baby in a local hospital but my Gynaecologist (whom I had known for a few years) lived in central London and I had to choose ..hence bye bye number 1 hello my 2nd Endocrinologist!! July 1992… Reality began to sink in , things I didn’t know ! Even though it was many years ago certain things don’t change, I had to surrender my full driving licence ! I then had to be assessed by a doctor and a form completed to re-apply for a driving licence for 3 years and then to continually apply every 3 yrs onwards !! 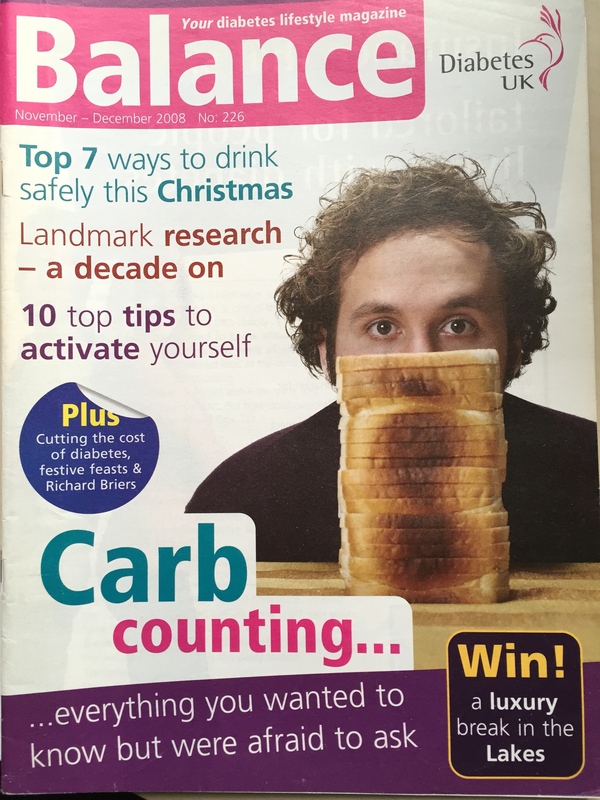 I subscribed to Diabetes UK to receive a magazine called Balance showing the latest changes to medication and problems I may encounter..I actually paid to be a life member .. I figured once a diabetic always a diabetic ! I also subscribed to Medic Alert for a bracelet highlighting the medication I was on! I hated the feeling that I had an illness and everyone had to be aware , so I purposely bought trendy versions of everything to hide the fact. I didn’t join any forums or clubs as I didn’t want to see what happened to diabetics further down the line ! The whole thing scared me !! I had to see a dietician, I was taught to carb count , although over the years the guidelines have changed! I had to keep a diary of my injections & sites (4 a day) also food diary ! I really thought my life would never be the same again!! 31st March 2015 .. Preview of what’s to come …. Just to clarify, I am writing a blog on the past 23 years of my life since discovering I had Type 1 Diabetes gradually bringing it up to 2015 ..I am now 56 yrs old .. Happily married with 3 Children now 22, 19 & 16 and a successful business…My journey has had its ups and downs dealing with diabetes, diabetes during pregnancy and other autoimmune disorders.. I realise there has been many advancements in diabetes along the way .. So some of my story will be out of date but will still show you the journey I have taken .. the rest you will discover in my blog ! I hope to help people who are on a similar path to see there is light at the end of the tunnel and life is what you make of it …..
June 1992 .. My life turned upside down ! 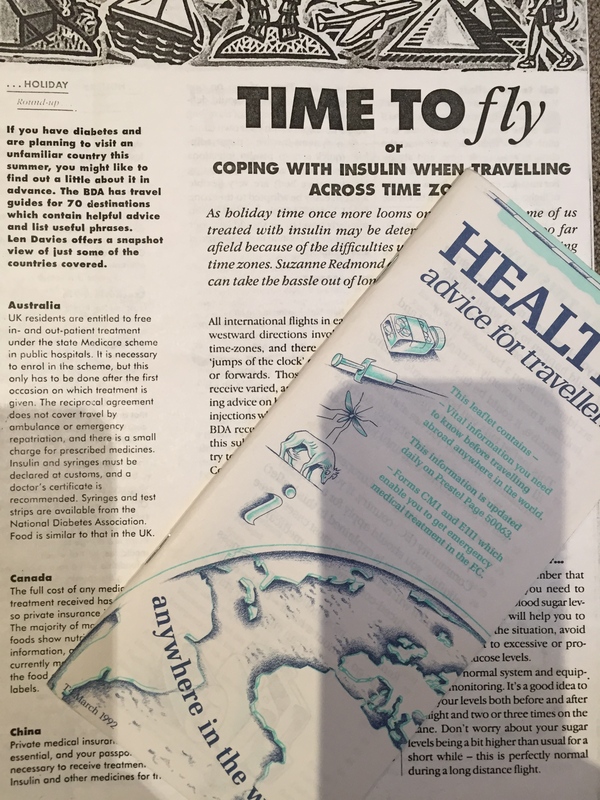 I was still working, but needed to read everything about travelling with diabetes as my job meant me travelling to the Far East and turning my body clock round! Now that I injected it worried me. The end of late night dinners ..I started staying in more as I used to have low sugars everyday sometimes twice a day but that was because my sugars were up and down ..later to be diagnosed as brittle diabetes . We were trying for a baby , soon after our honeymoon I conceived but 8weeks later I had a miscarriage which transpired was because I was early stages diabetic but had not been diagnosed yet! 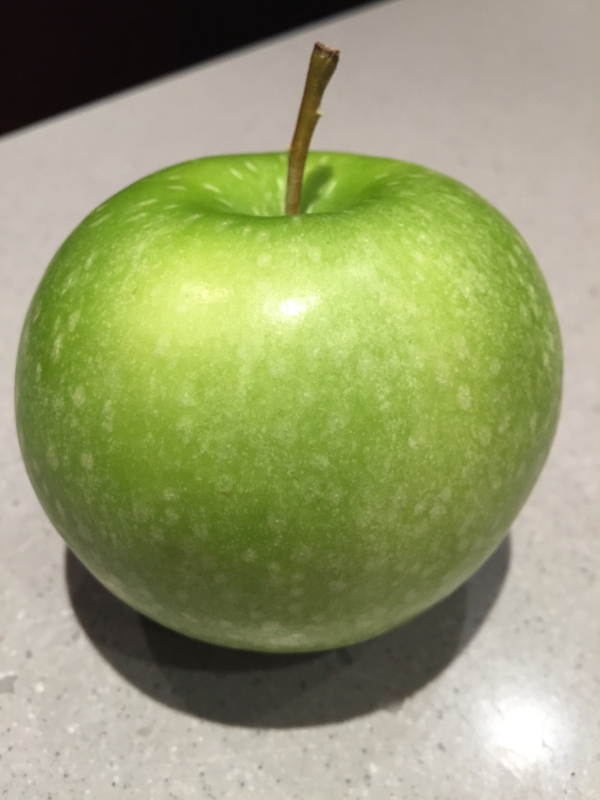 I was told I couldn’t get pregnant until my sugars were stable …6.0 to 6.9 mmol/l (108 to 126 mg/dl)….